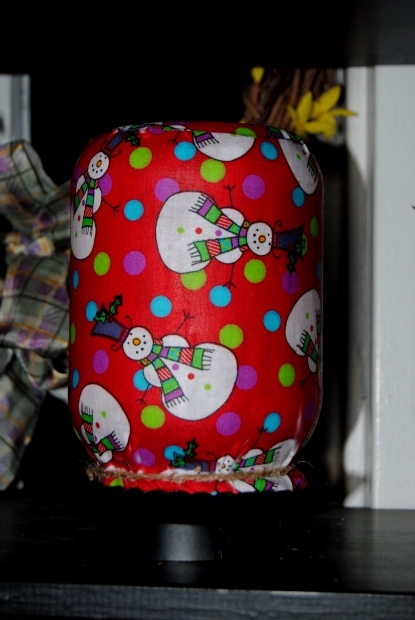 A Pre-Christmas Miracle: Altered Upcycling’s Holiday Giveaway! I couldn’t wait to share the news with all of you! 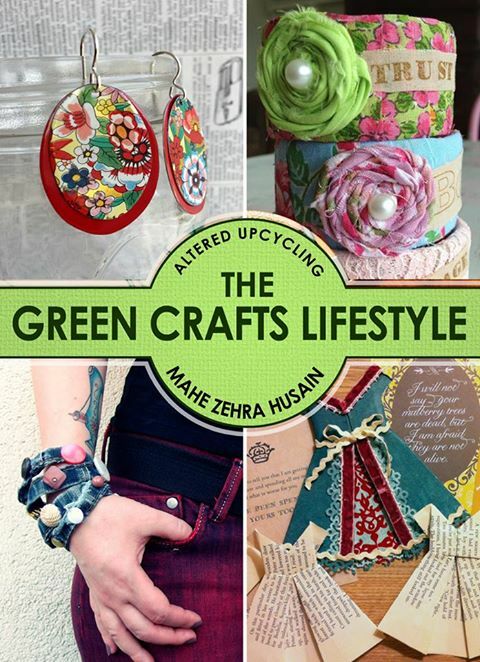 The very talented Mahe Zehra Husain (MZ) from Altered Upcycling fame is at it again! This year she is organizing the biggest holiday giveaway EVER! From the 15th of November to the 25th of December. 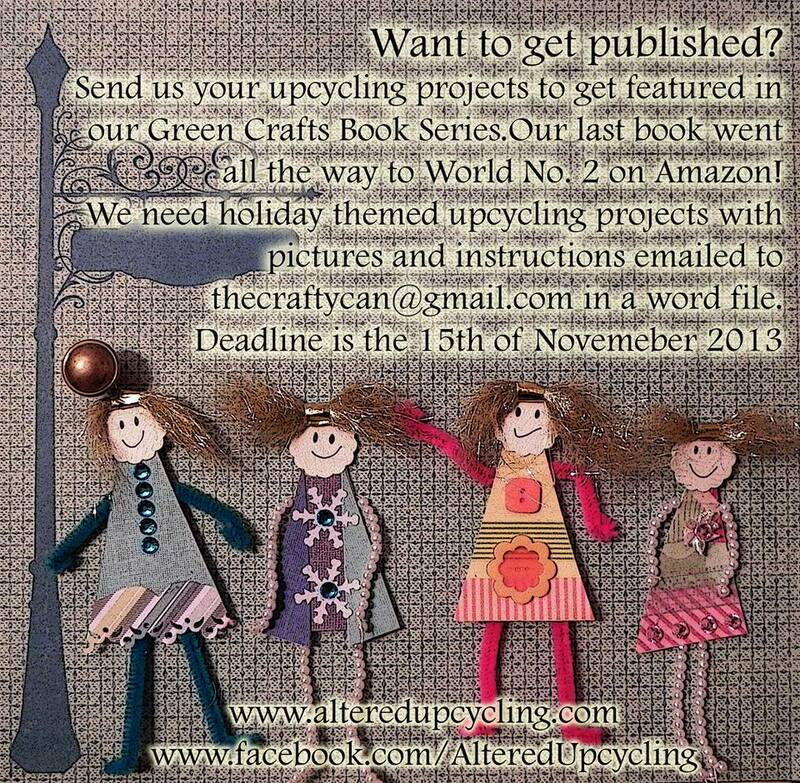 Altered Upcycling is giving away different e-books and products weekly. All you have to do is visit: http://www.alteredupcycling.com/christmas-giveaway join Altered Upcycling’s Facebook Page and sign up on the right to have the links sent to your inbox. It’s that simple! Be sure and check it out! I can’t think of a better way to treat yourself for the holidays! Free Amazon Download starts TODAY! 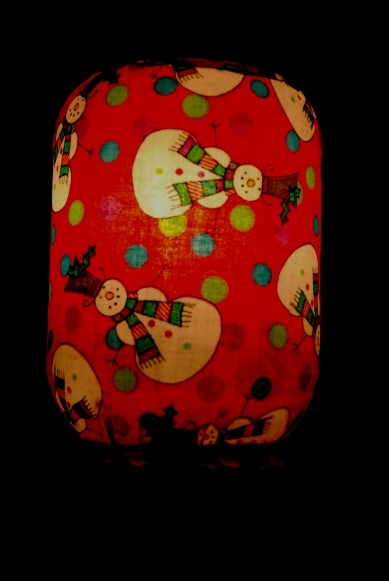 The Green Crafts Lifestyle: Christmas Edition! The Green Crafts Lifestyle – Christmas Edition – Make Christmas Decor, Cards and Gifts! I have had the pleasure once again to be a part of the second installment of “The Green Craft Lifestyle”. The new Christmas Edition is jam packed with green Christmas crafts from around the world. The very talented Mahe Zehra Husain (MZ) is giving away free copies for download from the 30th of November to the 4th of December you can find it here: http://www.amazon.com/dp/B00GXE82S4 and http://www.amazon.co.uk/dp/B00GXE82S4. On Facebook? Join the free event here. Don’t have a Kindle? Download Kindle Cloud Reader for your Laptop! I’ll be trying to tackle holiday decorating today…Thanks Mahe for the freebie! 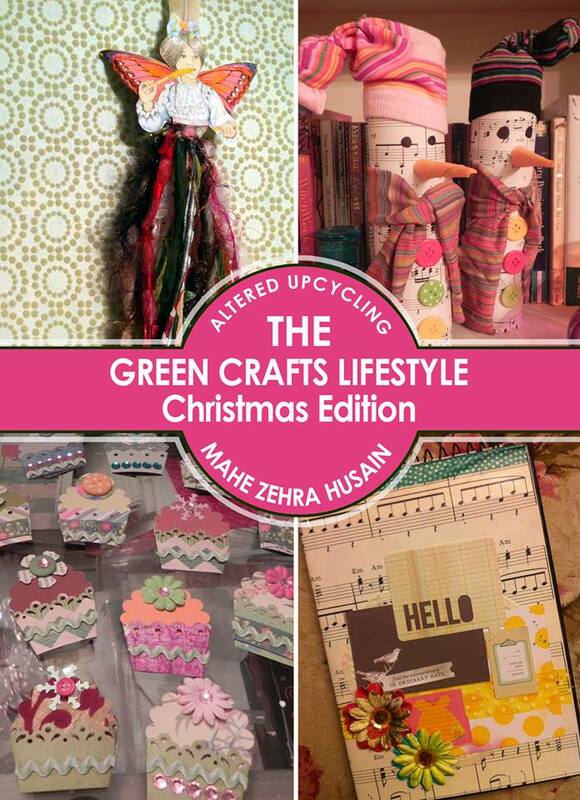 The Green Craft Lifestyle Christmas Addition: Free Amazon Download begins This Saturday, November 30th! The “On The Upcycle” family want to wish everyone a very safe and happy Thanksgiving day Holiday! Calling all Upcyclers: Projects Needed for The Second Edition Of The Green Crafts Lifestyle! A few months ago, I was honored when “On The Upcycle” was featured in the very first edition of the Amazon E-book The Green Crafts Lifestyle. 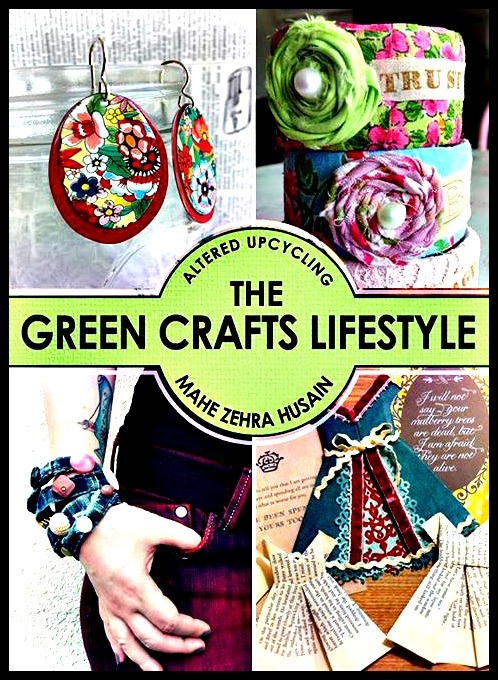 The author of that book the lovely Mahe-Zehra-Husain is gathering new submissions for the 2nd edition of the Green Crafts Lifestyle. If you like to craft green, this is a great opportunity to get your work published and increase readership to your blog. Be sure and check it out! Tomorrow’s blog will feature my “Secret Americana Project” An Upcycled, American classic, Windsor back chair. A project that is debuted in the book. I was unable to share it with my readers…Until now! When I started this blog back in April, I couldn’t have imagined having a oppurtunity such as this! I am featured with some of the most talented and amazing artists, and quite frankly, I am not sure that I am even close to being in their league! I feel very honored and grateful. I would like to send out a special Thank You to Katherine from Pillows A-La Mode who encouraged me to “throw my hat into the ring” with this project. Make sure and visit her craft blog. She is an amazing talent! It is an exciting first for me, just a simple working mom from NJ who loves to create! Thanks also to all my readers for your support, It means more than you know!